Must be industry ready -as they pass out from the College, to propel national growth. Aravali College of Engineering & Management ensures that all engineering students are given industrial tours to organizations relevant to their respective fields. The main objective of these visits is to acquaint students with the actual working of industry and how theory being taught in colleges is implemented in practice. 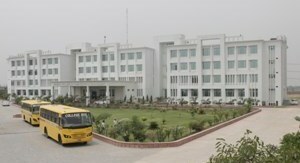 After each visit, a small group brainstorming session for the students is organized by the concerned faculty and staff. Students in ACEM have visited many places from Maruti plant in Manesar to HCL offices in Noida.